You shouldn't bet on Bloomsday. It's a community event that raises money for charity, gets people active and brings millions in tourist bucks to Spokane. In other words, this is a feel-good race, and you shouldn't spoil it with your wagers. Now, if you were going to bet on it, you've got no shortage of big names from which to choose. People always ask Bloomsday's elite athlete coordinator Jon Neill to give them the odds on a particular runner breaking the tape at the finish line. Given that races traditionally give the No. 1 bib (or No. 101 bib for the men, in the case of Bloomsday) to the runner favored to win, there's a bit of oddsmaking going on. With just days before the race, Neill, still contemplating who would wear those bibs, was kind enough to lay out the elite field for the Inlander. 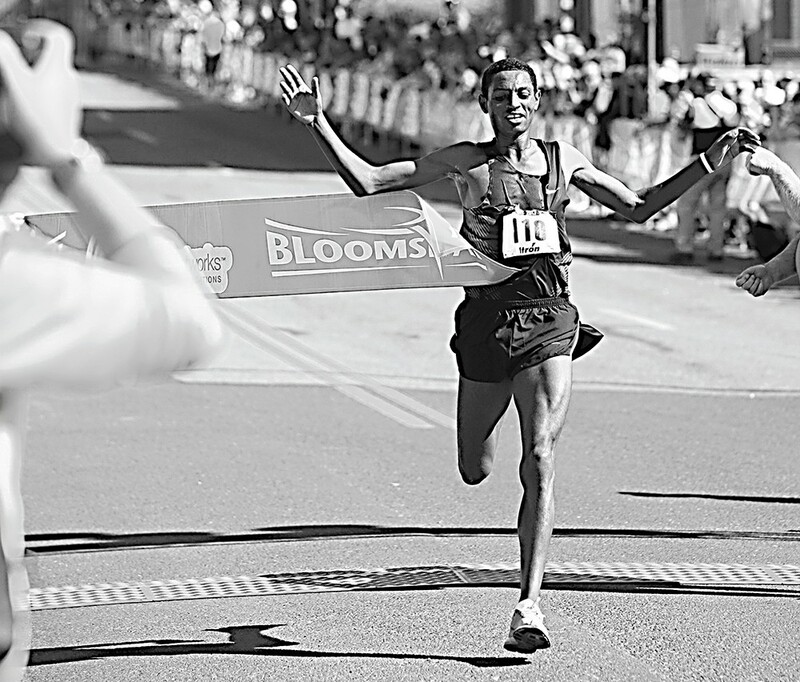 One thing was for sure — with neither of last year's winners, Ethiopians Belete Assefa and Buzunesh Deba, competing in the race, there won't be a repeat winner this year. "It figures to be a Kenyan-dominated podium. The one outside chance is an Ethiopian, Mosinet Geremew," says Neill. Those two Kenyan veterans expected to challenge Kiprono are Lani Rutto, who has finished in the top 10 in the past three Bloomsdays, and Simon Ndirangu, who won the 2011 race in 33:58, one of the fastest times in the past 15 years. "This is a course that really rewards veterans, so that may change things," Neill says. As for Americans in the field, he says to keep an eye out for Patrick Smyth of Utah and Aaron Braun of Colorado. "This is probably going to be one of the deepest fields that I've constructed in the past decade. In terms of the breadth of the field and the quality, this women's field is stacked," says Neill of the group who will tackle the 12 kilometers of Spokane streets on Sunday. He's inclined to give the No. 1 bib to Mary Wacera. The 25-year-old Kenyan won the World's Best 10K in Puerto Rico in February, then finished second in the world half-marathon championships in Copenhagen on March 31. "She's legit. She will blaze," says Neill. Also in the field is Ethiopian Gelete Burka, a two-time Olympian and past world champion in the 1,500 meters, and Kenyan Lineth Chepkurui, who won Bloomsday from 2008-2010.